October 30th, 2017 – GW Pharmaceuticals and its U.S. Subsidiary Greenwich Biosciences Completes Rolling New Drug Application Submission to U.S. Food and Drug Administration for Epidiolex® (cannabidiol) in the Treatment of Lennox-Gastaut Syndrome and Dravet Syndrome. GW Pharmaceuticals plc (Nasdaq:GWPH) (“GW” or “the Company”), a biopharmaceutical company focused on discovering, developing and commercializing novel therapeutics from its proprietary cannabinoid product platform, along with its U.S. subsidiary Greenwich Biosciences, today announced it has completed the rolling submission of a New Drug Application (NDA) to the U.S. Food and Drug Administration (FDA) for Epidiolex® (cannabidiol) as adjunctive treatment of seizures associated with Lennox-Gastaut syndrome (LGS) and Dravet syndrome, two highly treatment-resistant forms of childhood-onset epilepsy. The NDA for Epidiolex is supported by data from three Phase 3 safety and efficacy studies, each of which met their primary endpoint. Epidiolex was generally well tolerated in these trials. The NDA includes safety data on approximately 1,500 patients, with approximately 400 patients on continuous therapy for more than one year. Beyond pivotal safety and efficacy data, the NDA includes a comprehensive clinical pharmacology, pre-clinical and toxicology package. The CMC section of the NDA incorporates the Company’s recently expanded UK manufacturing facilities. Epidiolex, GW’s lead cannabinoid product candidate is a pharmaceutical formulation of purified cannabidiol (CBD), which is in development for the treatment of several rare childhood-onset epilepsy disorders. 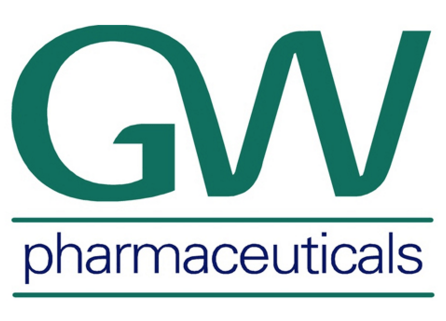 GW has submitted a New Drug Application with the FDA for Epidiolex as adjunctive treatment for seizures associated with LGS and Dravet syndrome with an expected approval and launch in 2018. To date, GW has received Orphan Drug Designation from the FDA for Epidiolex for the treatment of Dravet syndrome, LGS, Tuberous Sclerosis Complex (TSC) and Infantile Spasms (IS). Additionally, GW has received Fast Track Designation from the FDA for the treatment of Dravet syndrome and conditional grant of rare pediatric disease designation by FDA. The Company has also received Orphan Designation from the European Medicines Agency, or EMA, for Epidiolex for the treatment of LGS and Dravet syndrome. GW is currently evaluating additional clinical development programs in other orphan seizure disorders including Phase 3 trials in TSC and IS. Founded in 1998, GW is a biopharmaceutical company focused on discovering, developing and commercializing novel therapeutics from its proprietary cannabinoid product platform in a broad range of disease areas. GW, along with its U.S. subsidiary Greenwich Biosciences, is advancing an orphan drug program in the field of childhood epilepsy with a focus on Epidiolex (cannabidiol), for which GW has submitted an NDA to the FDA for the adjunctive treatment of LGS and Dravet syndrome. The Company continues to evaluate Epidiolex in additional epilepsy conditions and currently has ongoing clinical trials in Tuberous Sclerosis Complex and Infantile Spasms. GW commercialized the world’s first plant-derived cannabinoid prescription drug, Sativex® (nabiximols), which is approved for the treatment of spasticity due to multiple sclerosis in 30 countries outside the United States. The Company has a deep pipeline of additional cannabinoid product candidates which includes compounds in Phase 1 and 2 trials for gliobastoma, schizophrenia and epilepsy. For further information, please visit www.gwpharm.com.